Successor Trustees in a Trust | Platt & Westby, P.C. At the law office of Platt & Westby, P.C., our lawyers and staff strive to provide clients with comprehensive estate planning, probate and trust administration representation. We are committed to helping clients understand their rights and the obligations that accompany complicated estate matters.Estate Planning is a valuable tool no matter your net worth. A will, a revocable living trust and powers of attorney are three instruments that compliment one another and should all be used in proper estate planning. Each has powers the other does not and all are good alone, but exceptional when they work together. Estate planning and its components can get quite complicated. Having an experienced attorney ensures your rights are protected and your wishes are carried out. Below is some information on successor trustees, which can be appointed if there is a vacancy in the trusteeship. To learn more about this or other trust matters, contact our office today. ARS 14-10704 of the Arizona Trust Code provides for the appointment of a successor trustee when there is a vacancy in the trusteeship. If one or more co-trustees remain in office, a vacancy in a trusteeship need not be filled. A vacancy in a trusteeship must be filled if the trust has no remaining trustees. (3) by a person whom the court appoints. A nonqualified beneficiary is not left without recourse. A nonqualified beneficiary can petition the court for the removal of a trustee appointed by the qualified beneficiaries. There are no procedures outlined in the Code regarding how a successor trustee is appointed. With good drafting, the terms of the trust will deal expressly with the problem of vacancies by naming successors and specifying the procedure for filling the vacancies. Absent such provisions in the trust, A.R.S. § 14-10704 (c)(2) permits the appointment of a successor trustee without the need for court approval. Should the qualified beneficiaries fail to make an appointment, the court will fill the vacancy. In doing so, the court should consider the objectives of the settlor, the promotion of the proper administration of the trust, and the interests and wishes of the beneficiaries. The court may appoint an additional trustee or special fiduciary whenever the court considers the appointment necessary for the administration of the trust. However, in the case of a revocable trust, the appointment of a successor trustee will normally be made directly by the settlor. There are several forms that need to be submitted for the appointment of a successor trustee. 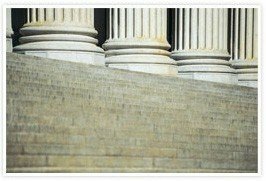 One form would acknowledge the successor trustee’s acceptance of the appointment and the other would notify the IRS of the successor trustee (Form 56). Contact our office or call 602-277-4441 to speak with one of our experienced Arizona trust attorneys at Platt & Westby, P.C., today.